Whether you are over fishing on LinkedIn or not depends on how you are using LinkedIn for recruiting. With over 500 million professional members, LinkedIn should definitely be part of your sourcing toolbox. But there are specific LinkedIn tools you should avoid in order not to be over fishing on LinkedIn. Unless you are connected to them you, contacting candidates on LinkedIn involves using LinkedIn’s InMail. If you are using the Recruiter Lite, you have 30 InMail. And with the Enterprise Recruiter, you get 150 emails. Either way, you have to be careful that you maximize your InMail response rate. Do you want to waste your InMail on people who will never respond? If the answer is “no”, some LinkedIn tools look tempting but watch out as they will cause you to over fish. LinkedIn has some great analytics on users. It knows who has not logged in for months. It knows who has responded to InMail. They have leverage all these analytics to help recruiters better target candidates. LinkedIn can predict who will likely respond to your InMail. This function is only available to Recruiter Corporate users. Psst…I have a little secret. You are not the only recruiter trying to use this function. By emailing only candidates that LinkedIn has suggested, you are filtering out a large pool of qualified applicants. And of course, you are competing with all the recruiters who are doing the same. InMail Analytics can predict which users will respond to InMail. While that seems great if you have limited InMail credit and don’t want to waste them on people who are not going to respond to InMail, it also will put you in “cut through the noise” contest with every other recruiters who is using the same analytics and will surely also contact those same LinkedIn members. LinkedIn Open Candidates are those people who have selected that they are open to new opportunities. It is not listed on user’s public profile but it is visible to anyone who pays LinkedIn premium fee. LinkedIn exclude current employer of that individual from seeing the Open Candidate status. Competing for talent with other recruiters is not challenging enough? Want to increase the number recruiters you are competing by 15 times? Use LinkedIn Open Candidates. “Looking for jobs? Secretly let recruiters know! So basically, by contacting LinkedIn members who are Open Candidates, you are competing against 15 times more recruiters than if you just contact regular LinkedIn members. 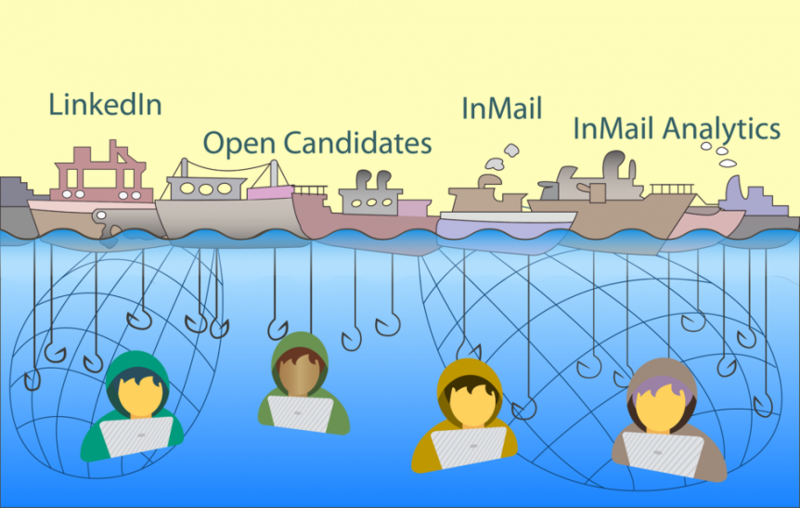 The reality is that recruiters are not over fishing on the vast LinkedIn ocean but some of them are swarming over a relatively small area. From our last article, less than 2% of LinkedIn members have turned on their Open Candidates. So if you are focusing on these people, you are missing out on 98% of LinkedIn. And remember if you are doing technical sourcing, 22% of developers are not even on LinkedIn. So use LinkedIn but also look for other tools that will give you different candidates. is this a one month trial and then pay subscription? what is the cost after beta is over and how long a period is beta?